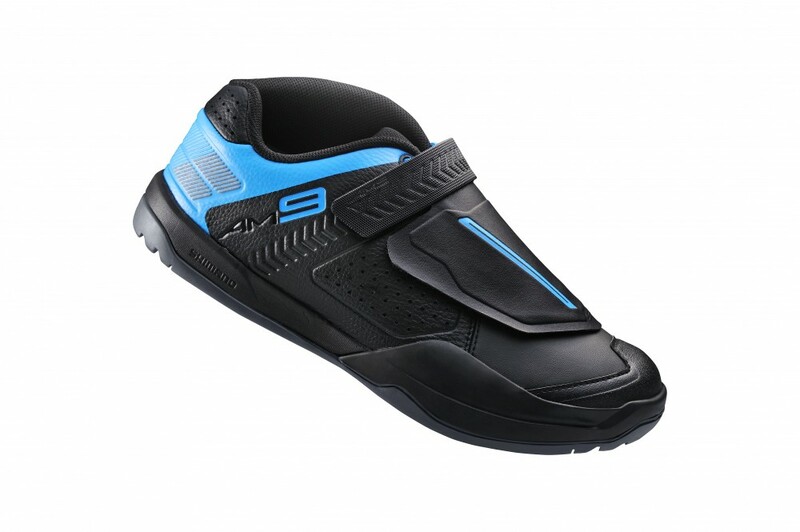 Shimano has overhauled its footwear range and now has an impressive 71 shoes to choose from in all forms of cycling. In the mountain bike world we’ve been treated to three new gravity focussed shoes, two women’s specific shoes and a durable winter shoe. Let’s have a closer look. What’s new about the gravity range? So, the previous AM45 and AM41 are being replaced with three different shoes – the AM 5,7 and 9. These have been tested by the Athertons for the past season, so should come with some pedigree. The AM5 and AM9 are clipless and the AM7 will take over the flat pedal duties. The AM5 is the bottom of the range shoe. It has a much more casual style and seems to prioritise comfort over anything. The AM7 and AM9 are both lighter and racier. They both also come with shields over the top of the foot to protect your fragile metatarsal bones and keep your laces away from the chain. How are they different from the last range? 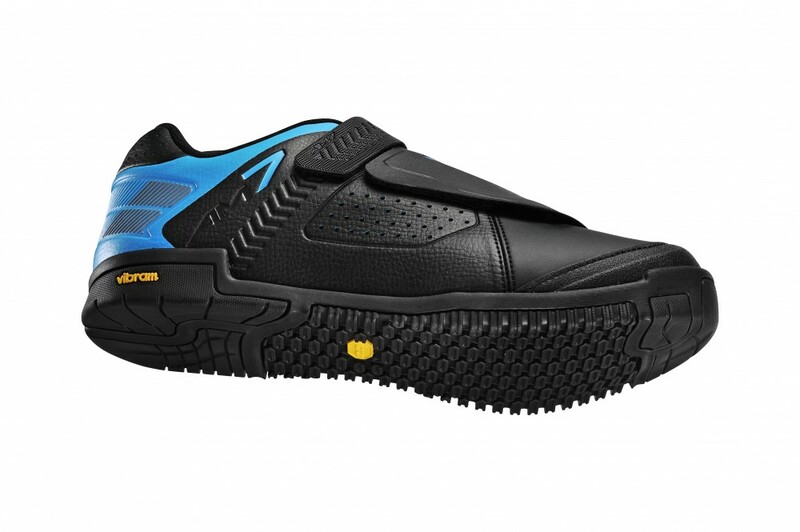 The Athertons reportedly asked for shoes that were lighter, grippier and better protected – in other words, better in every way. The AM9 is 217g per pair lighter than the AM45 in a size seven, so Shimano has delivered on that front, we can’t comment on protection and grip yet but when we get a pair in to test we’ll let you know. The new gravity range will become available in autumn. There are two new women’s shoes, the WM64 and WM53, to sit between Shimano’s current WM83 and WM52 shoes. The shoes are trail and XC focussed and both will use the SPD system. 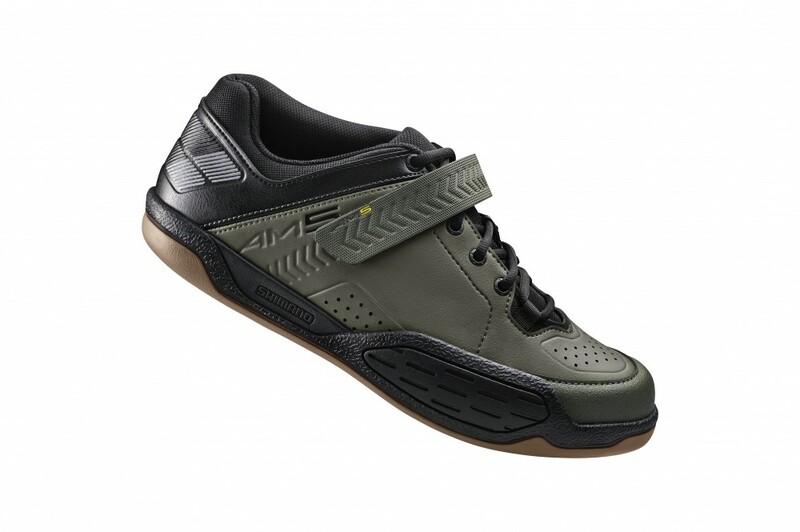 The women’s specific shoes have a narrower profile, added support in the instep and less volume in the toe area to be more ergonomically fitting. 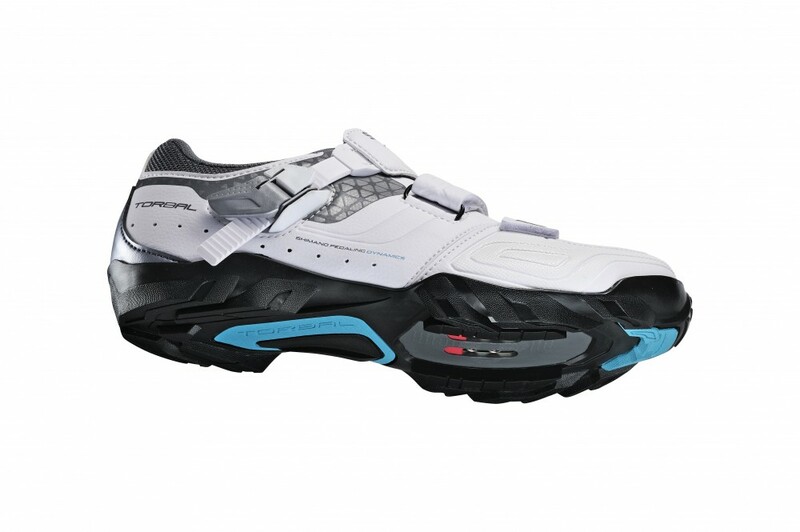 These shoes also have stiffer midsole that Shimano claims will provide better power transfer. What about the winter shoe? This one’s an interesting one. 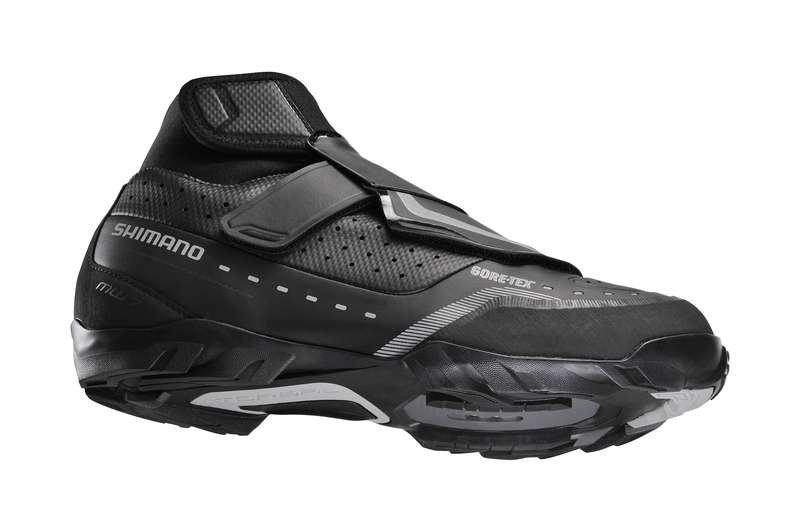 Shimano claims that this is for trail and enduro riders to keep them riding through the winter. They are lined with GORE-TEX waterproof fabric, to protect against the rain, and fleece lined inside, to keep your feet warm against the cold. The sole also has large nobs on the edge of the sole, a bit like a tyre, which Shimano claims provide high traction for when you’re not on your bike. Another neat feature is the velcro and speed-lacing pull-cord fastening system which should mean you can keep your thick winter gloves on if you have to loosen or tighten your shoes. The shoe will be available in September, just in time for the weather turning nasty.